President Barack Obama will travel to Orlando on Thursday to pay respects to the victims of last weekend's nightclub shooting and to stand in solidarity with the community as it embarks on recovery, the White House said Monday night. Press Secretary Josh Earnest did not provide more details about the trip. 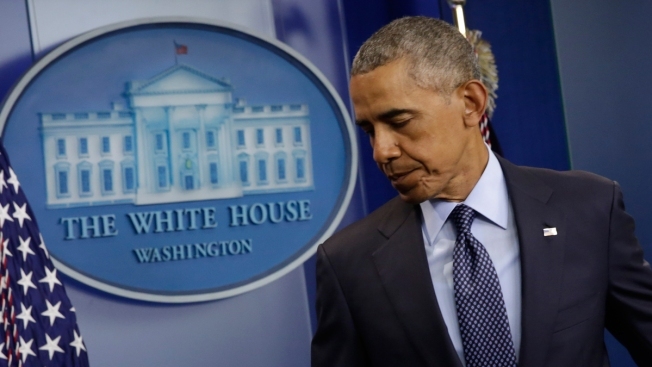 Obama had canceled what was to be his first campaign event with presumptive Democratic nominee Hillary Clinton in the wake of the shooting at a gay nightclub that killed 49 and wounded dozens more. That event was scheduled for Wednesday. 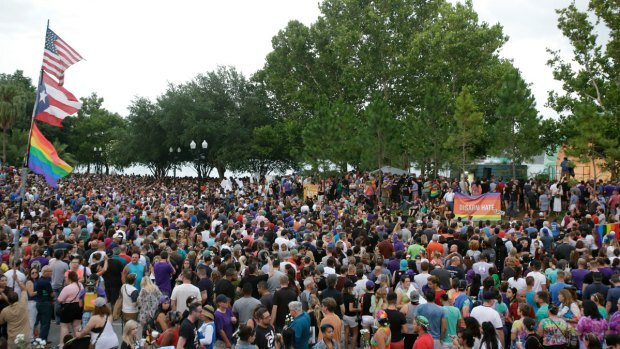 The announcement came after thousands gathered in downtown Orlando for a vigil to support the victims and survivors of the shooting. The vigil was held on the lawn of the Dr. Phillips Center, the area's main performing arts venue and the location of a makeshift memorial, where folks have been leaving flowers, candles and notes for the victims. Many in the crowd Monday evening said they were inspired to attend because Pulse played a huge role in their lives as gays and lesbians. 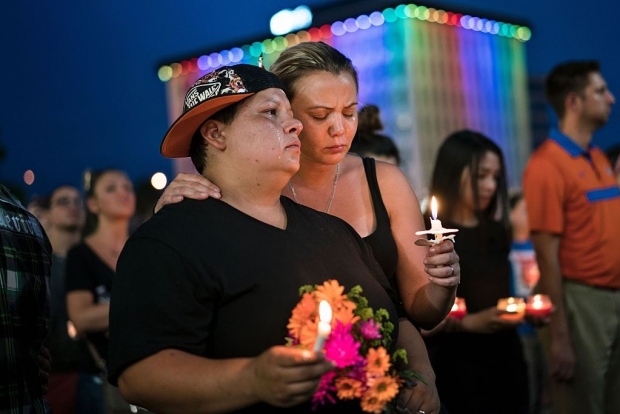 "It was a place that a young 20-year-old who wasn't openly gay felt safe for the first time," said Cathleen Daus, now 36 — she worked at Pulse in her twenties. "Pulse gave me confidence, made me realize I was normal and so much like everyone else." The role of consoler-in-chief is not a new one for Obama, who has traveled to Newtown, Connecticut, Charleston, South Carolina, and among other places to meet with families who have lost loved ones to gun violence. Obama has called the Orlando shooting an act of terrorism and an act of hate. He noted that the site of the shooting was more than a nightclub, calling it a place where people came to raise awareness, speak their minds and advocate for their civil rights. Also Monday night, Orlando Health, the hospital agency that received over 40 patients in the aftermath of the attack, announced on Twitter that all its patients "have a positive prognosis and appear to be improving." Trauma surgeons from the agency were expected to give a press conference Tuesday to share their experiences from Sunday morning. Earlier Monday, Obama said the gunman was inspired by extremist information over the internet, calling it an apparent example of "homegrown extremism" that U.S. officials have been worrying about for years. He said the probe was being treated as a terror investigation and said investigators were examining materials from the internet that the shooter may have consumed. 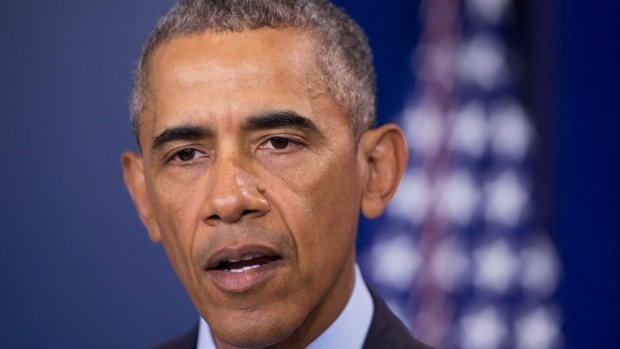 Obama said investigators are still looking into the motivations of the shooter and considering all possibilities. He said gays and lesbians are targeted by organizations like IS, al-Qaida and others because of their "vicious, bankrupt ideology" and their religious beliefs about homosexuality. "The fact that it took place at a club frequented by the LGBT community I think is also relevant," Obama said.